I have been so MIA lately....I know! And I hate it! Unfortunately the blog (and commenting on all of your blogs!) comes at the end of my very long list of responsibilities/jobs/life. Something's gotta give sometimes and Peace, Love & Ice Cream is the sacrificial lamb! You still get an awesome deal of 15% OFF your total purchase! It's almost November, which means the holidays are literally creeping up (not to rush it! )....so get your holiday orders in! 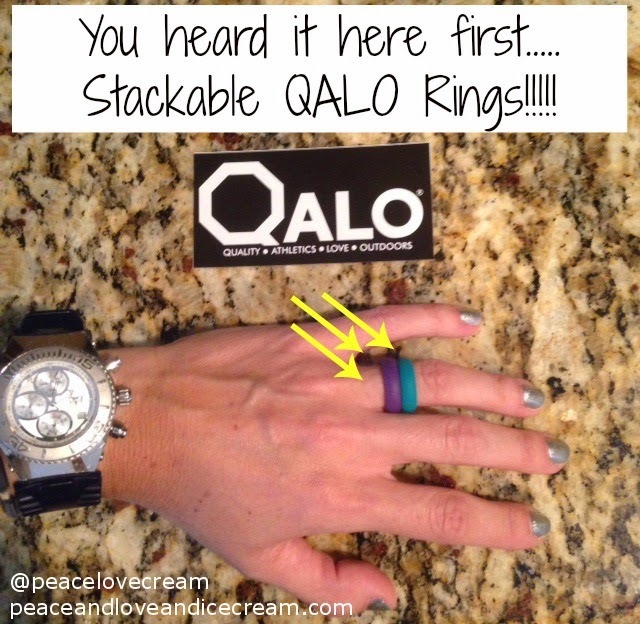 I know you have someone (or a few someones lol) in your life that wants needs a QALO ring! 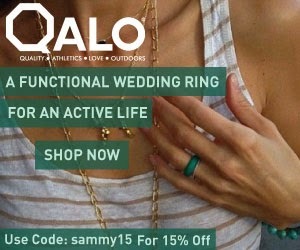 It's quickly becoming THE fashion statement must-have so head over to qaloring.com, use coupon code sammy15 and place your order today! During these 2 weeks I ran 20 miles and 22.5 miles, respectively....not too shabby! I've realized in the last month or so my cross training workouts have become basically nonexistent...which I am not happy about! It's the time...and it's the busyness....and it's the exhaustion! Either way, my running is there and consistent and that makes me feel prepared for November 9!!! DISCLAIMER: I am part of the QALO affiliate program. My unique coupon code will save you 15% off of your total purchase. I make a small commission off of every ring sold with this unique coupon code. I became a part of the program to market this product because I love it and use it myself! Check me out on Miles To Go! Thinking Out Loud #5:...And That's OK!